Panels are dry glazed providing 360° ventilation of the glass. Dry glazing provides air circulation to keep the pocket cavity dry and allows any potential water to fully weep out of the panels. Dry glazing with gaskets delivers a more aesthetic presenation between glass and frame. 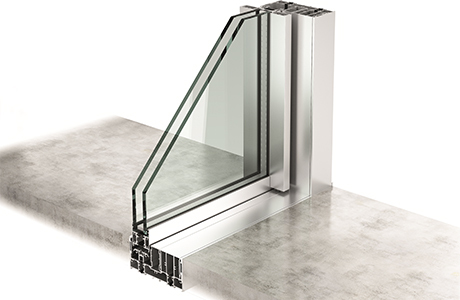 cero is available in two options depending on thermal performance needs—triple glazed cero III and double glazed cero II. 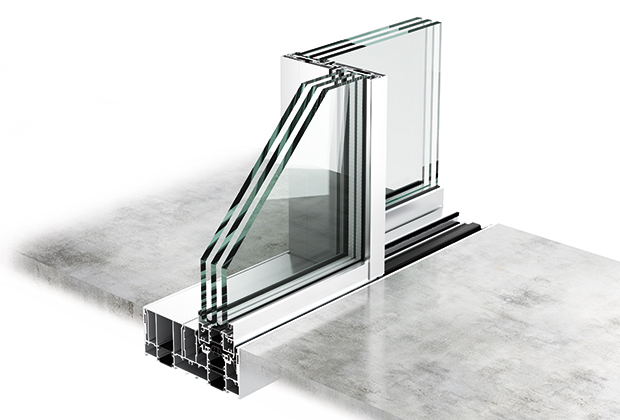 Select a thickness between 1 7/8" and 2 1/8" (48 and 54 mm) for Triple Glazed cero III or between 1 3/16" and 1 7/16" (30 and 36 mm) for Double Glazed cero II. Various IGU thicknesses are available with the ranges of thicknesses for each IGU type accommodated within each cero frame type.